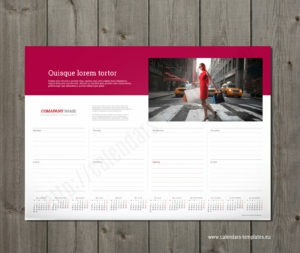 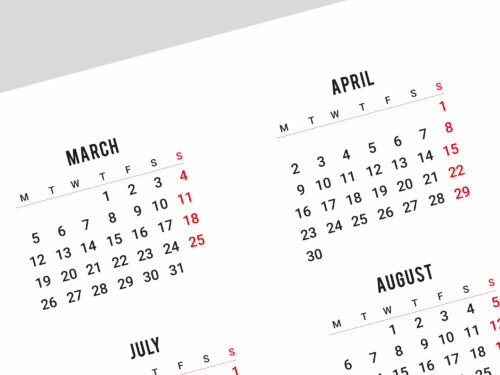 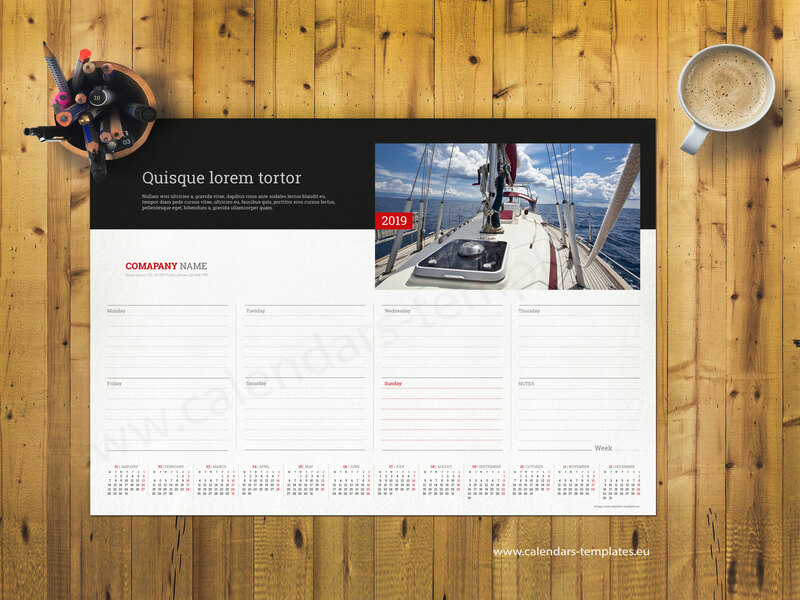 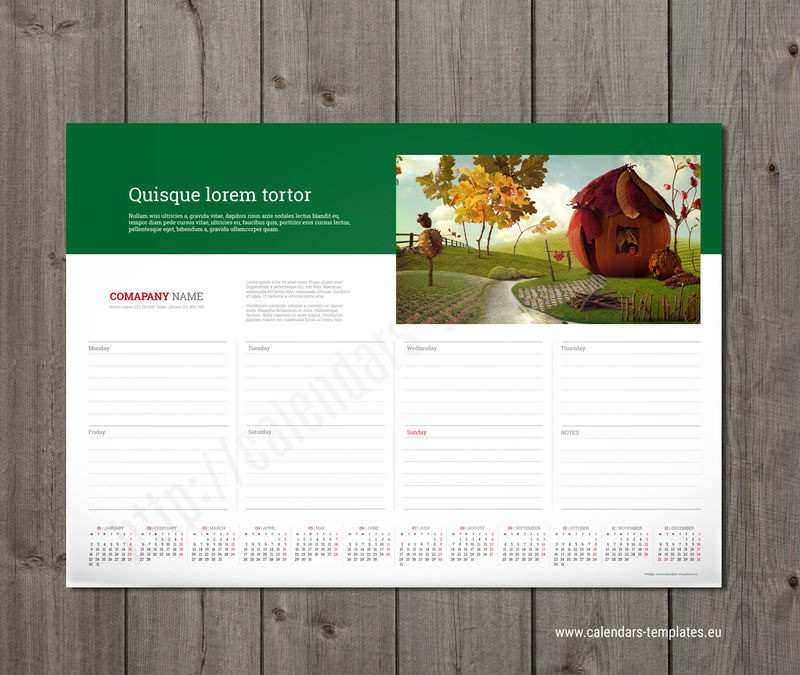 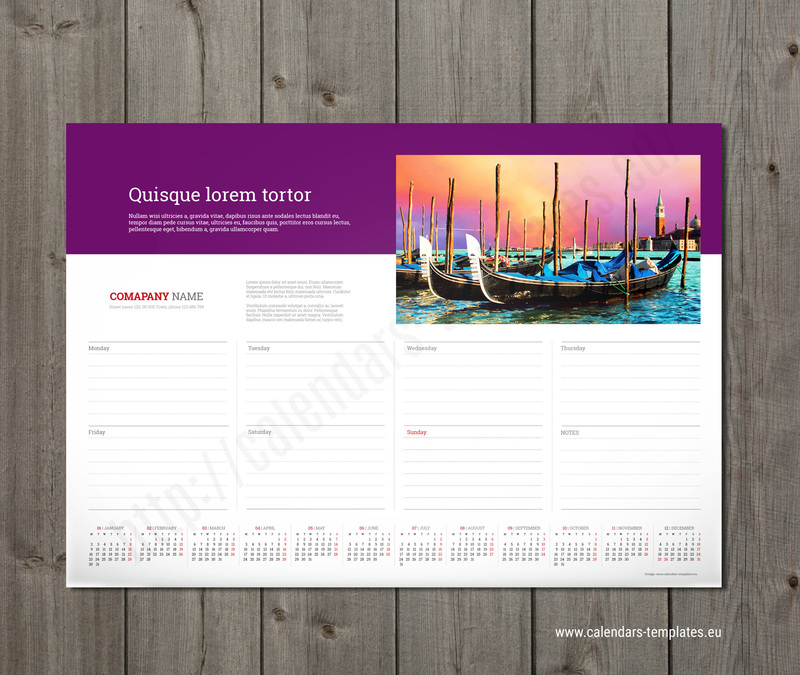 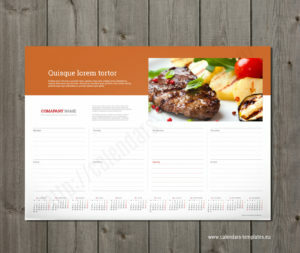 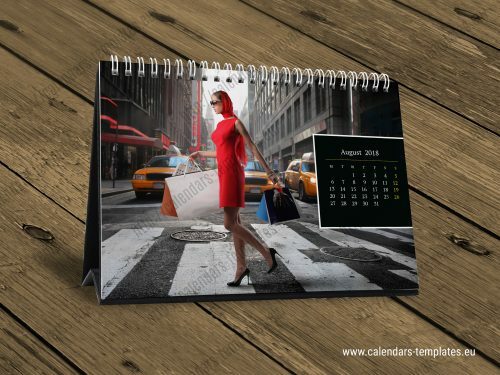 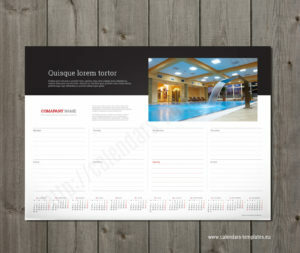 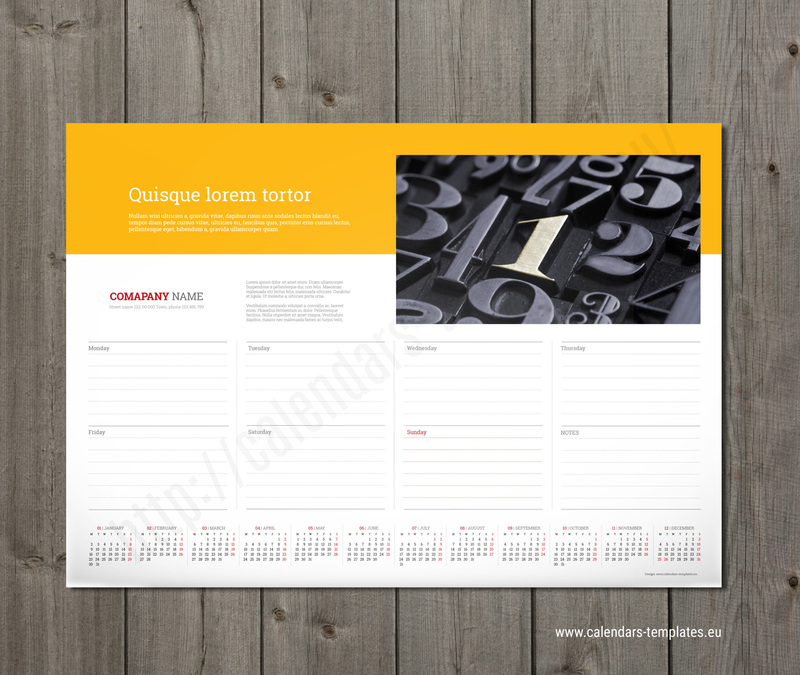 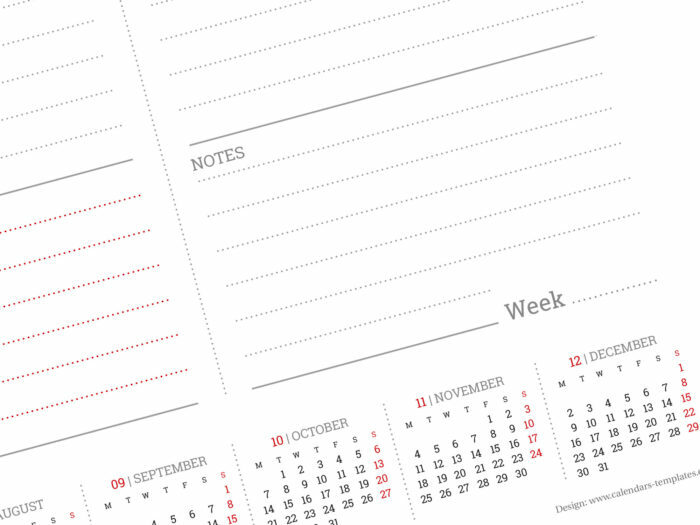 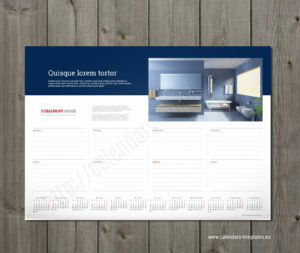 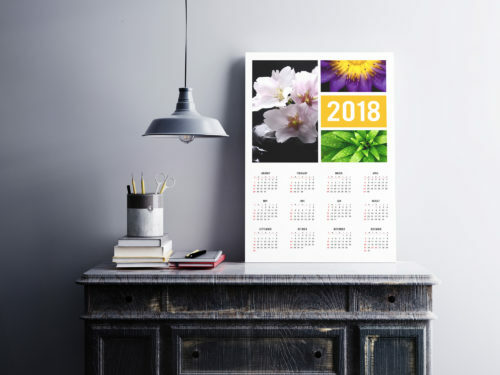 Printable wall or table, A3, A1 and A2 weekly planner template with space for your images. 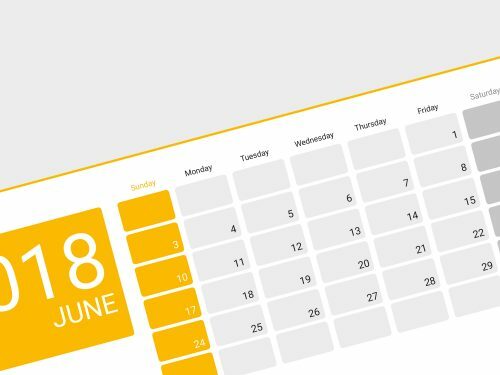 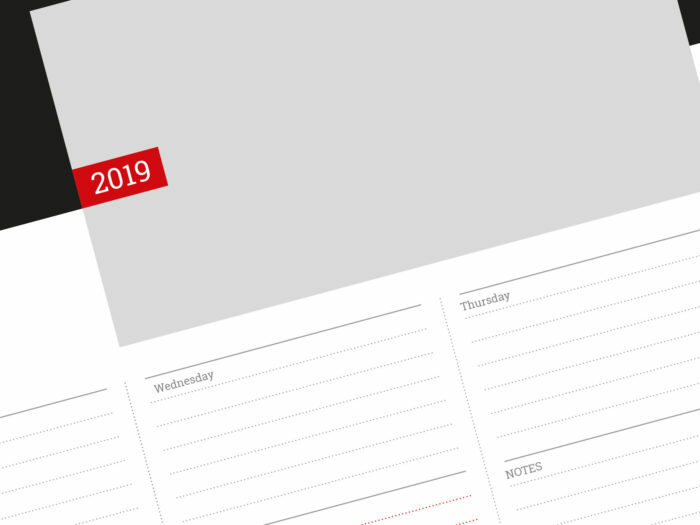 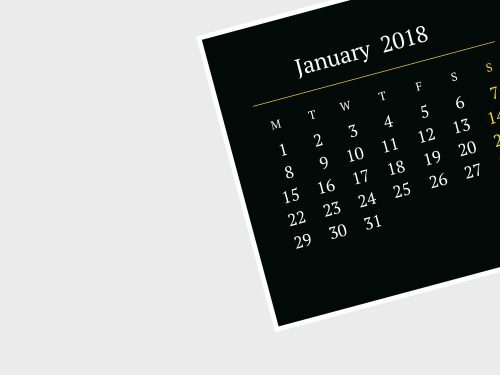 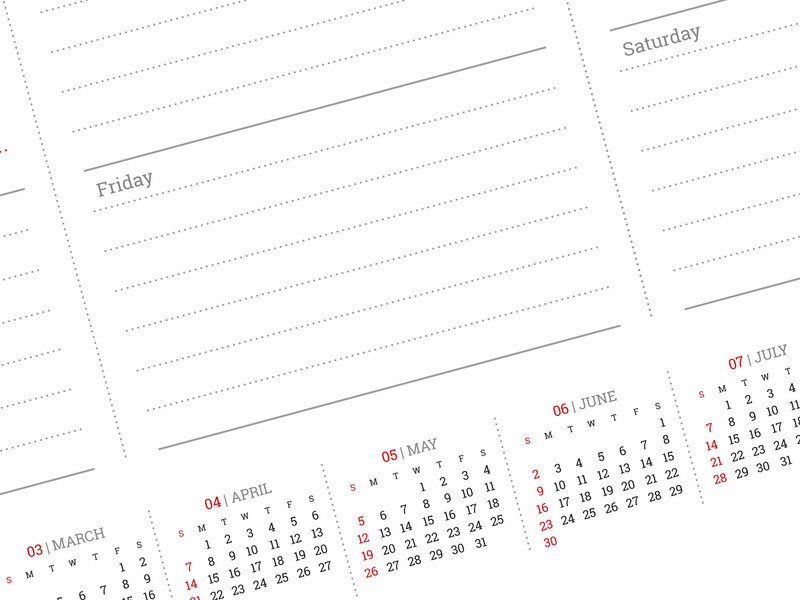 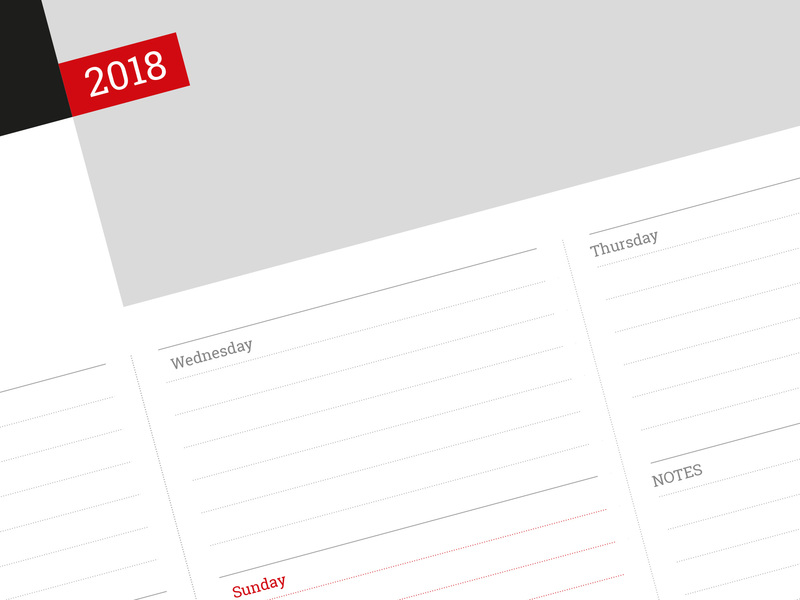 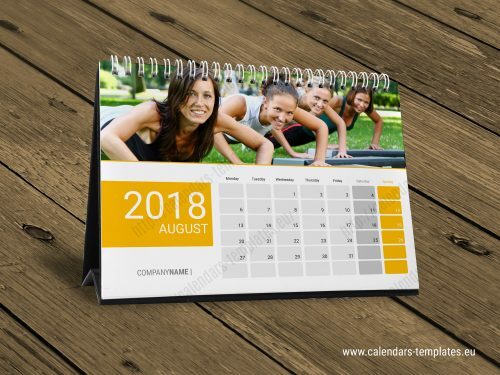 Small calendar on A2 weekly planner running from 1st January 2018 to 31st December 2019. Weeks starts from monday or sunday. 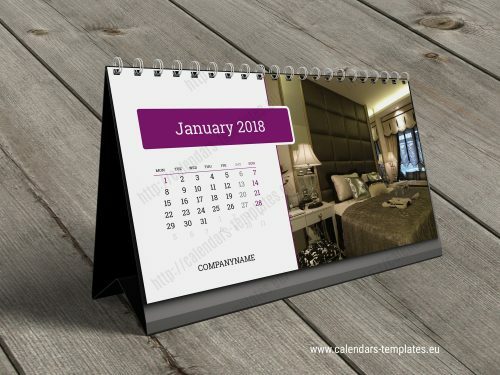 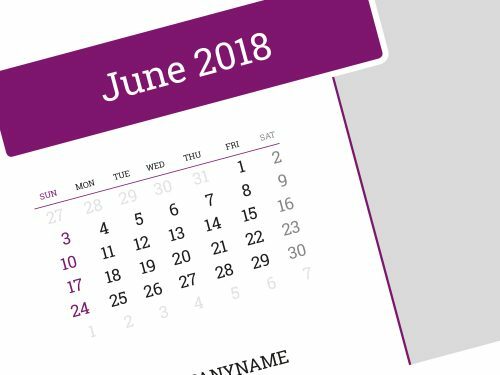 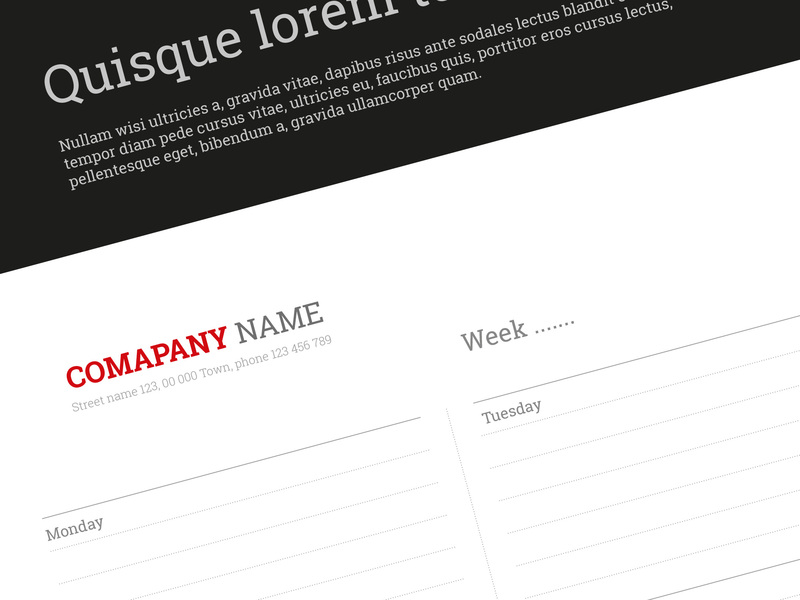 This A2 weekly planner template is fully vector graphic, everything is editable, just add in your personal details, adjust the colour and you are ready to print. 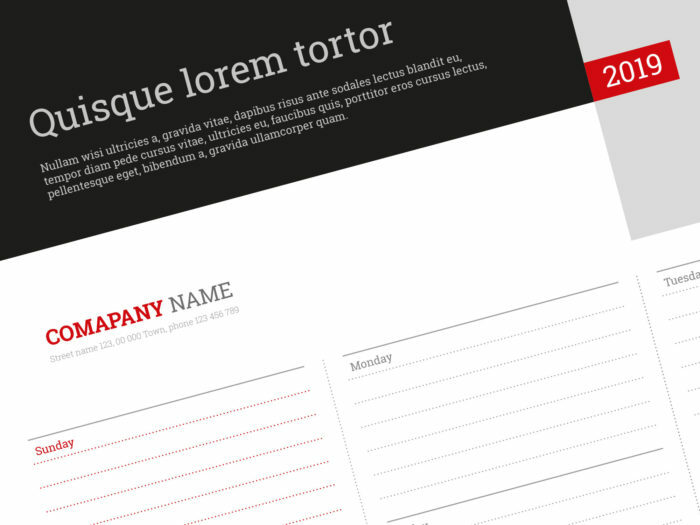 Most popular PDF vector format.